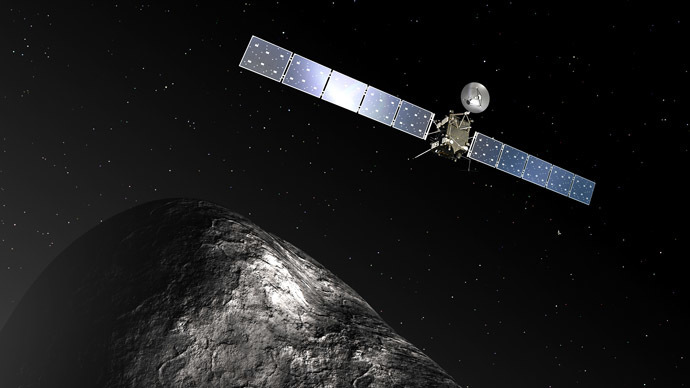 The Rosetta probe has finally caught up with the comet it has been chasing for the last ten years. The European Space Agency confirmed that it is orbiting the comet, 67P/Churyumov-Gerasimenko from a distance of about 100 kilometers. 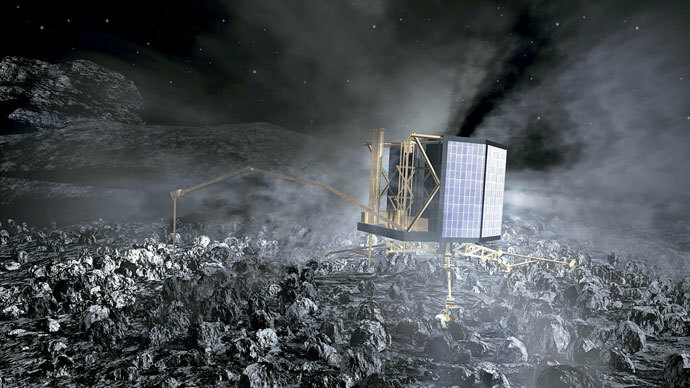 The head of the European Space Agency (ESA), Jean-Jacques Dordain, said this was “an important milestone in Rosetta’s life,” while the next goal for the explorer will be to put a lander on the comet, so that samples can be sent back to scientists to see what minerals and possible life organisms it contains. This is due to take place in November when the spacecraft is to attempt landing, if everything goes to plan. The mission will continue until the end of 2015. However, before this date, scientists need to try and learn as much as they can about the comet they have been chasing for so long. "We know what the comet's shape is. But we haven't really measured its gravity, we don't know yet where the center of mass is," Rosetta Flight Director Andrea Accomazzo told Reuters ahead of the rendezvous. As the probe got ever closer to 67P/Churyumov-Gerasimenko, Rosetta took pictures revealing that the comet is not oval-shaped, as astronomers had originally believed, like a rugby or American football, but rather it comprises two segments connected by a neck, giving it an asymmetrical shape that has been likened to a duck. The comet, around five kilometers by three kilometers, has never been studied by scientists. They are interested in finding out if it contains any organic amino acids. It was named after the two Soviet astronomers, Klim Churyumov and Svetlana Gerasimenko, who discovered it in 1969. According to the panspermy theory, the material that began life on Earth could have been brought from outer space within the ice that makes up comets. Because comets are essentially huge freezers, they could harbor invaluable information about the origins of our solar system. Space scientists believe that comets have remained practically intact since the formation of our solar system some 4.6 billion years ago, and there are millions of them in the Solar system. “Over the millennia of the history of earth, comets have actually affected our evolution, they probably have affected the evolution of life as well, from the start of life to the destruction of life,” Ferri said, explaining why comets have played such an important role in our planet’s history. Rosetta started its journey in March 2004 with the aim of carrying out a detailed study of the frozen gaseous comet 67P/Churyumov–Gerasimenko. However, the probe hit a problem around two-and-a-half years ago: it had travelled so far from the sun that it was running low on power, because there was not enough light to power its giant 14 meter long solar panels as it flew towards Jupiter. So the ESA decided to shut it down in order to conserve energy. 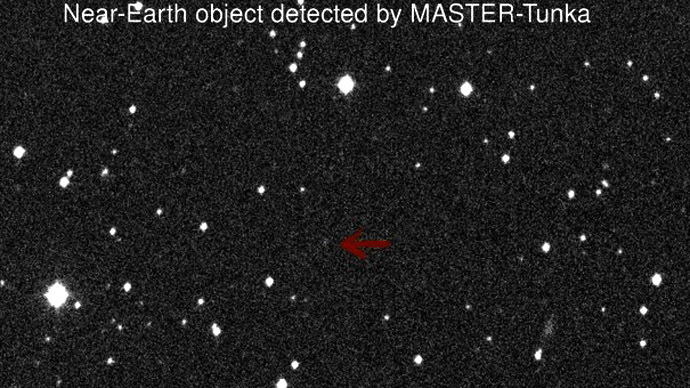 After being out of contact with mankind for 31 months, the explorer was brought back to life on Monday, January 20, 2014, with the ESA catching its signal some 807,000,000 km from Earth. The comet is still hurtling toward the inner Solar System at almost 55,000 km per hour, and the closer it gets to the sun the more active it will become, emitting gases that can make it difficult to predict the trajectory of Rosetta and its probe. 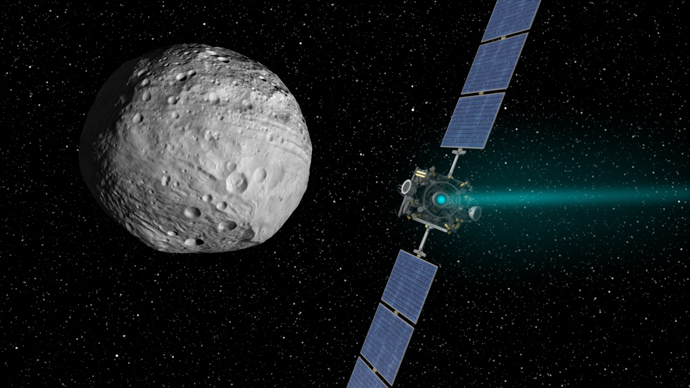 This will make it harder for the team on Earth to keep the probe in contact with it. The Rosetta probe is the first European explorer to visit a comet, while Sakigake, launched by Japan in 1985, was the first ever probe to achieve this when it visited Halley’s Comet in 1986.